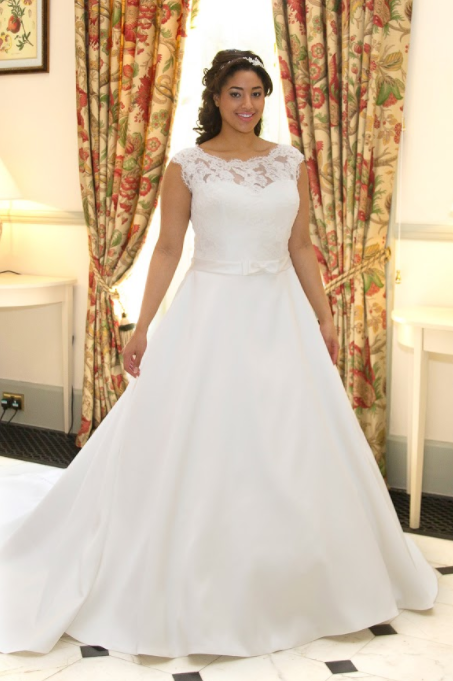 Elegant lace bodice with scalloped bateau neckline. Belt with bow detail compliments your curves and the simple full skirt skims your hips for an elegant silhouette. The bateau neckline continues to the back, where there is a keyhole design leading to corset back. Extra button detail on the cathedral length train continues the classic smooth line.